There are a few stores opening, or shuffling around, at Tysons Corner Center mall over the next few months. 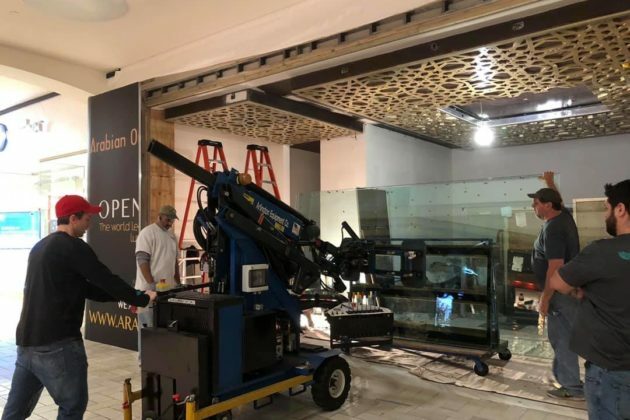 Arabian Oud, an oil and incense store, is scheduled to open sometime in early 2019 and signs on the store exterior say it is currently hiring staff. The store’s oils and perfumes are higher end, with many priced over $100. The Royal Oud Set, described as a blend of roses and musk from Cambodia, will set you back $1,500. Francesca’s, a trendy women’s clothing store on the mall’s second floor, is opening a new location on the mall’s first floor across from the food court. The store offers a variety of clothes, accessories and some home decor. Next door, Aldo is also opening a second location in the mall sometime this spring. The store specializes in leather shoes and bags.